Selden began producing aluminum masts in 1965 and has since grown into a leader in the world market of masts and related gear such as Furlex Furling and Reefing Systems. Nance & Underwood Rigging and Sails has completed the necessary factory training programs to become a Selden Authorized Regional Service Center. When you contact Nance & Underwood for sales and service of Selden Masts and equipment or Furlex Furling and Reefing Systems gear, you're contacting the best possible source for Selden equipment sales and service. We have a huge source of information available to guarantee your Selden and Furlex sales and service experience remains the best it possibly can be. 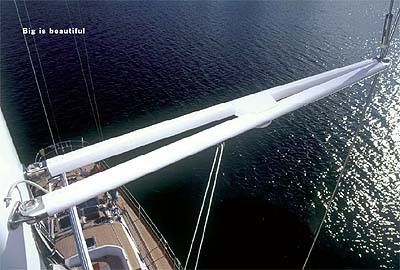 Read the brochure about masts from Seldén. Read the brochure about rigging and tuning masts from Seldén. Selden Masts Rigging and Tuning PDF File. The Furlex jb furling and reefing system was first introduced in 1983. the basic concept was not new, but Furlex broke new ground with inovative design attention to detail, good value and worldwide service backup. Today, Furlex is the world market leader, and a normal feature on any well equipped yacht. Complete Selden Furlex PDF File.